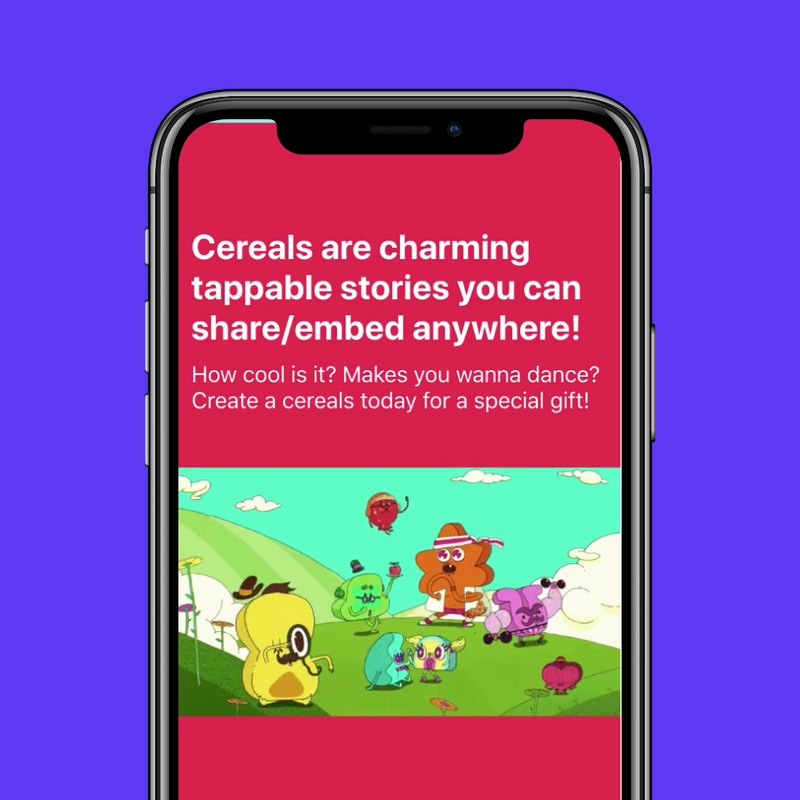 Announcing CerealKit: Stories as a service ain’t a joke anymore. Or is it? No, it’s not. 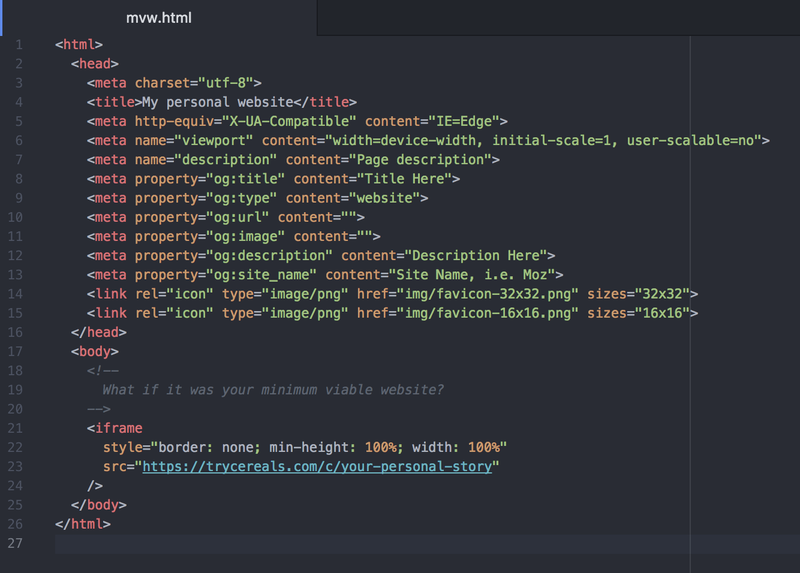 Remember this post on Product Hunt that claimed you could add stories to your app in 1 line of code? Well, it was an April fool’s joke. But we live in an amazing time, where some people just don’t get the joke and start building it. Well, 👋 hey I’m that kind of guy! My name is Hugo Villain and I am the maker of CerealKit. Jokes aside, I truly believe that embedding media-rich, tappable stories could be the right move for you. Ever thought of educating your users in-product? With CerealKit, you could embed bite-sized content and make it accessible with a single tap. Ever wanted to get noticed at a company you love? Go beyond the resume and send them a personalized, charming story. My girlfriend uses CerealKit to create media-rich vegan recipes, my current company displays job offers people actually read, and you could create the Medium of the Snapchat generation. I mean, it’s just stories with a platform independent, do whatever you want mindset. psst: I actually never tried Lucky charms! At the core of CerealKit, there are, well, Cereals. Cereals are what you guys call stories. Or series? Anyway, it’s cereals (serials) now. These cereals are made of multiple media-rich cards that users tap right to read. Like Medium series, but viewable anywhere, and embeddable almost anywhere too! From static websites to Intercom messenger, to apps. From day 1, the idea behind CerealKit was that you should be able to do whatever you want with the content you create, without asking your users to install Medium or hoping they’d follow you on Instagram. Wanna see the dumbest possible, tappable static site? That’s right. 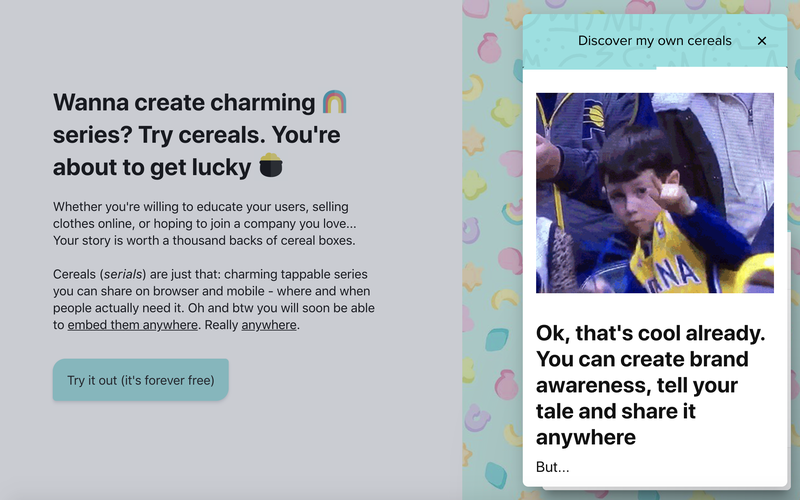 Soon, you’ll be able to embed your cereals, right in Intercom. Where your users already are. I have been tweaking with Intercom messenger apps since Intercom launched their app store. Really soon, you will be able to embed your own cereals right in Intercom. With the recent launch of Outbound Apps, you even will be able to send the story that matters the most to your customers, exactly when they ask for it. THAT’S RIGHT. In the coming weeks, I will be rolling out what I am the most excited with. Your cerealKit user space will come pre-packed with a robust tagging system that will allow fine-grained categorisation of content. Almost anything you can think of, you can build: from categories like “user education”, “personal”, and “testimonials”, to any type of section, format or flow. Kind of like Gmail labels or Ghost tags, but bound to iFrames and an API. 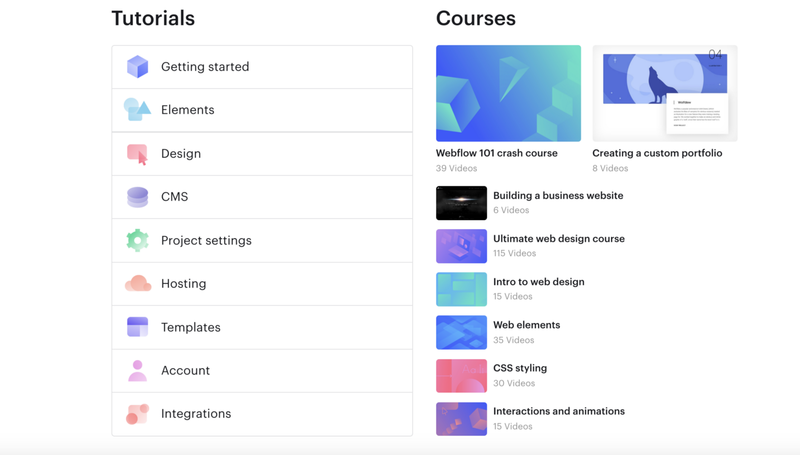 This is a view from Webflow Academy. But it’s the kind of stuff you will be able to create! But all of this would not be useful enough without an API. I’m getting things simple for the moment. You will be able to query your cereals and display them dynamically, by categories, date etc. I hope to get some early feedbacks on this so if you want to try this out, or if you have an website idea based on this, I’d be happy to help! While TryCereals will remain free, with no account needed, my plan is to actually earn money from this. Both because it would make me proud and because, well, I eat food too. First users have been responding really well to CerealKit and I am just so happy to help them achieve in-product education. In the weeks coming, I’ll focus on getting a hundred users to signup and will be offering a really smooth yearly pricing to get people involved. If you want to be part of it, please contact me on Twitter! TryCereals is on Product Hunt this next Friday, July the 6! I really hope you’ll join the conversation. By this time and if you made a cereal you like, please DM me and I’ll make sure it’s featured in the comments! Then, well… I got hunted on Product Hunt like 5 minutes later, got 2 upvotes and 2 more subscribers. But I’m back at it next week! What about you?